In a ravishing display of the depth of her extraordinary talent, American soprano Latonia Moore outshines camels, fireworks and dancing girls to walk away with the fourth annual Handa Opera on Sydney Harbour. Playing the title role of Aida means that, fortunately, the show is already hers for the taking. 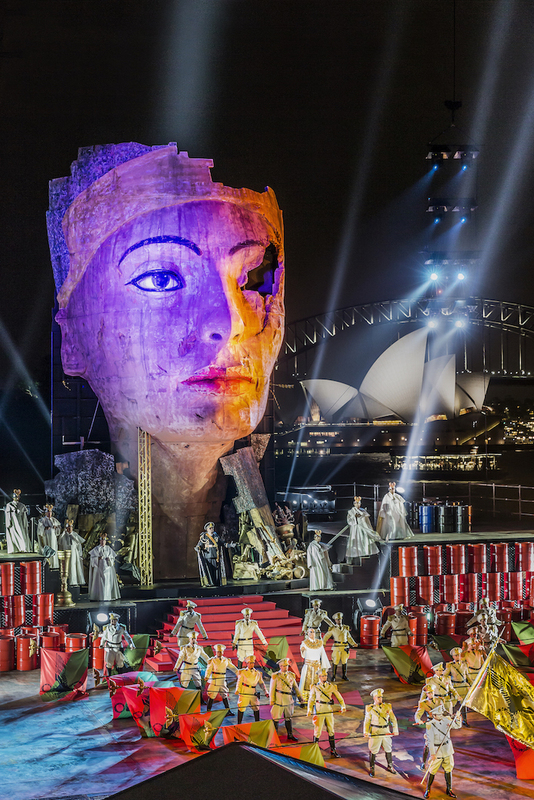 Now an established, and highly anticipated, annual event, Handa Opera on Sydney Harbour finally presents inevitable outdoor spectacle Aida, camels and all. Equal parts social and cultural event, the hospitality, ambience and twilight setting are all second to none. Many visitors to Sydney are attracted to see an opera inside the Opera House, but when used instead as a backdrop, along with its iconic bridge partner, the effect is utterly magical. Experienced director Gale Edwards has delivered a far more interesting and engaging production than the superficial flashiness of 2013’s Carmen, Edwards shows great respect for the intimate love triangle at the heart of Aida, allowing the many personal and poignant moments to breathe undisturbed on the massive stage. 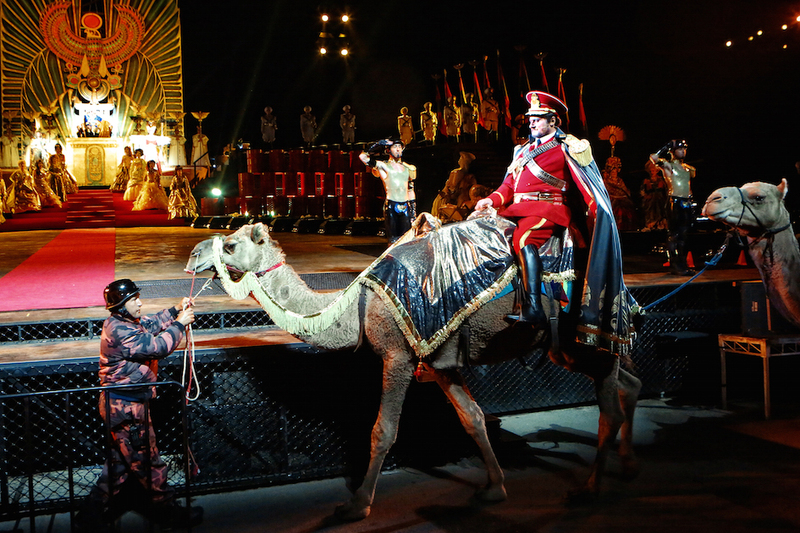 Using light and colour to make the performers feel vividly close, Edwards successfully achieves the miracle of establishing an affecting bond between performer and audience despite the massive size of the 3000-seat arena. In short, Edwards delivers an operatic experience over and above a stadium experience. In a modern, but generally nondescript, period, the crumbling façade of Queen Nefertiti keeps an eye over a fortress of sorts, which is stashed full of golden treasures and barrels of fuel. 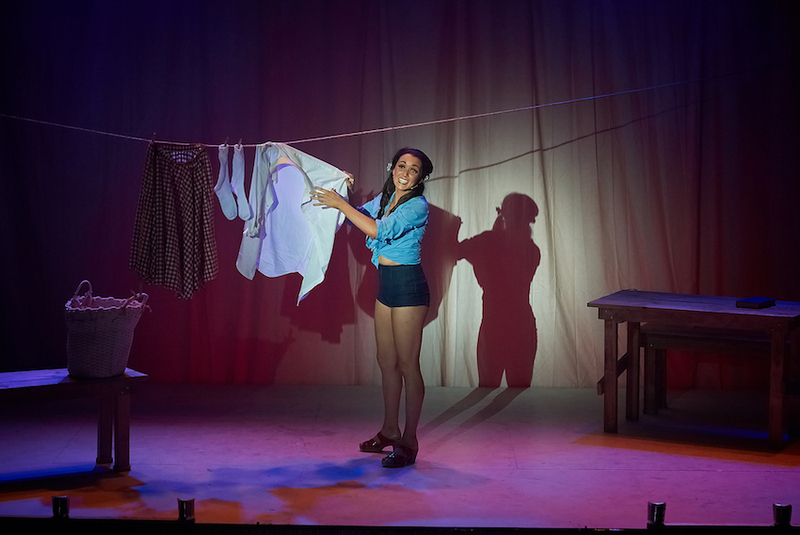 Designer Mark Thompson has balanced the grand and the functional, providing a vast playing space that gives plenty of room for Edwards to stage the requisite eavesdropping, spying and furtive glancing that can seem cramped and unrealistic on a regular stage. Nefertiti rotates to have a look at the city skyline reveal a mighty altar for the return of the conquering Egyptian army. In a well-considered touch, Edwards offsets the avaricious procession of the spoils of war with two long rows of the coffins of fallen Egyptian soldiers. The cruelty of war is also seen when Radamès is kept onstage for his trial, during which he is held by long ropes and summarily tormented. The performance space works brilliantly in all scenes except the very last, in which a mess of haze and lights leaves only those familiar with the plot capable of recognising the scene as supposedly representing an underground tomb. One other curious misfire is a rectangular frame that rises in the trial scene and seems to serve no purpose other than to partially spoil the sightlines. Thompson distinguishes the four acts through use of colour, significantly aided in this regard by the lighting design of Matt Scott. From regal reds and golds to dusky violets and blues, the palette is played out through the lighting and costumes to create rich visual appeal. Thomson’s costumes are sumptuously lavish on a grand scale. 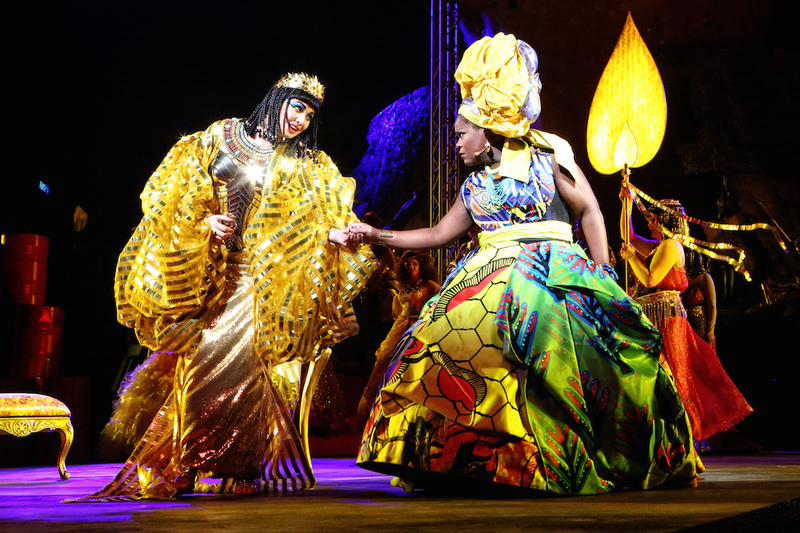 The colour-drenched African fabric for Aida, and fellow slaves, is stunning. Ina a humorous touch, the ladies of Amneris’ court have clearly taken the western-style of dressing too far, looking like Southern belles on steroids. The mix of periods in military uniforms is somewhat confusing, but presumably this is a deliberate choice. 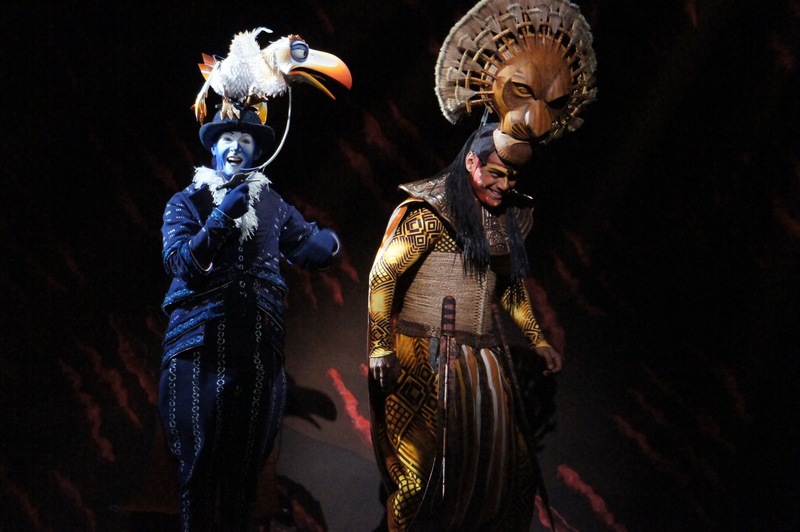 Mention must be made of Ramfis’ giant cobra headpiece, which is as witty as it is terrifying. 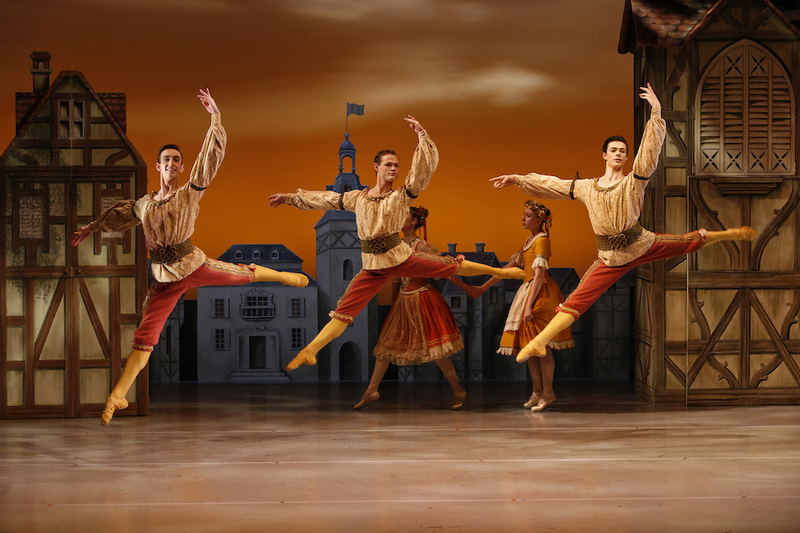 Choreographer Lucas Jervies fills the stage with movement at key moments, but his level of invention does not begin to approach that of Edwards and Thompson, leaving the dance as rather irrelevant overall. Maestro Brian Castles-Onion balances the oversized stage spectacle with a sensitive, nuanced performance of Verdi’s immortal score from the augmented Australia Opera and Ballet Orchestra. Castles-Onion has clearly put meticulous preparation into the music and this pays off handsomely. Sound, by Tony David Cray, is clear and strong for the most part, but verges on the loud and slightly harsh at times. Reproduction of multiple voices at once is more of a challenge. This quality may be corrected as the season progresses. Chorus work, lead by Anthony Hunt, is reliably well prepared. 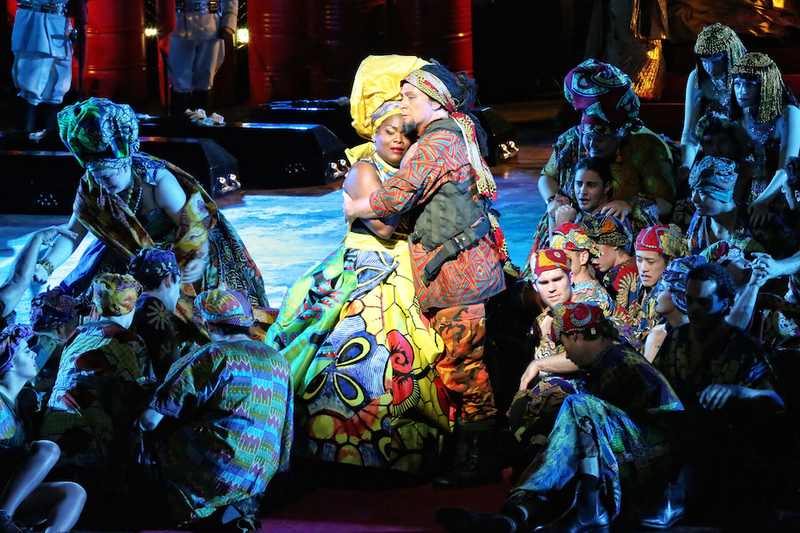 Moore is in wondrous form as passionate slave/princess Aida. In “Ritorna vincitor” her voice is strewn with lust and longing, and these colours are further enhanced in Aida’s soaring anthem “O Patria Mia.” Finally, Moore achieves the sound of an angel as Aida prepares for death with the man she adores. Above all the glitz and glamour, this production is worth attending just to hear Moore in this role. In a well-matched stage partnership, Milijana Nikolic gives an extremely impressive and exciting performance as Aida’s bitter rival Amneris. Radiating a magnetic presence, Nikolic is never anything short of compelling, and her sterling mezzo-soprano is a true pleasure to hear. Trailing these dazzling female leads is the lackluster performance of visiting tenor Walter Fraccaro. Clearly experienced in the role, and with a reasonable amount of lungpower, Fraccaro nonetheless has an unsettling tendency to wobble very slightly on the notes. The amplification does him no favours in terms of producing an attractive sound. Worst of all, Fraccaro seems to “phone in” his performance, making no effort for any sort of chemistry with Moore. To have this performer on the stage while excellent Australian Radamès Rosario La Spina sits in the audience is a curious and disappointing situation. Fine bass David Parkin pours forth in rich, resounding tones as high priest Ramfis (he of the cobra headdress). 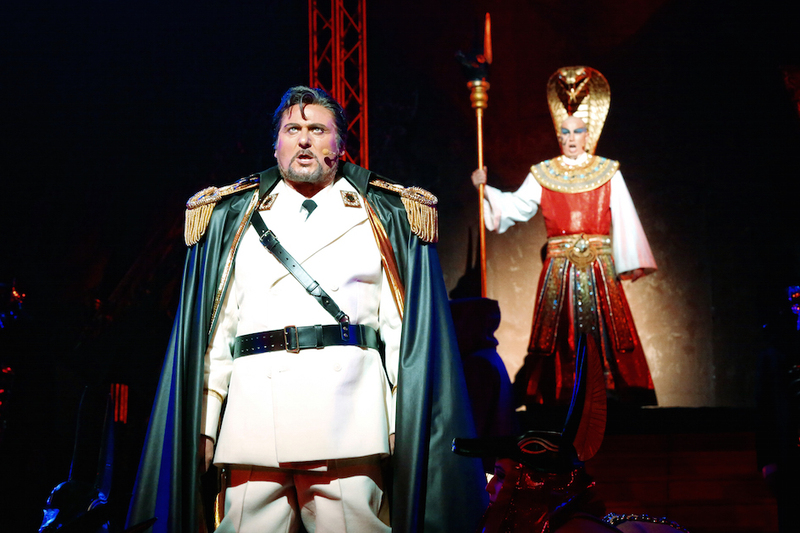 Michael Honeyman gives a commanding performance as Aida’s father Amonasro, lifting the stage energy from his first appearance. Eva Kong distinguishes herself as the High Priestess. 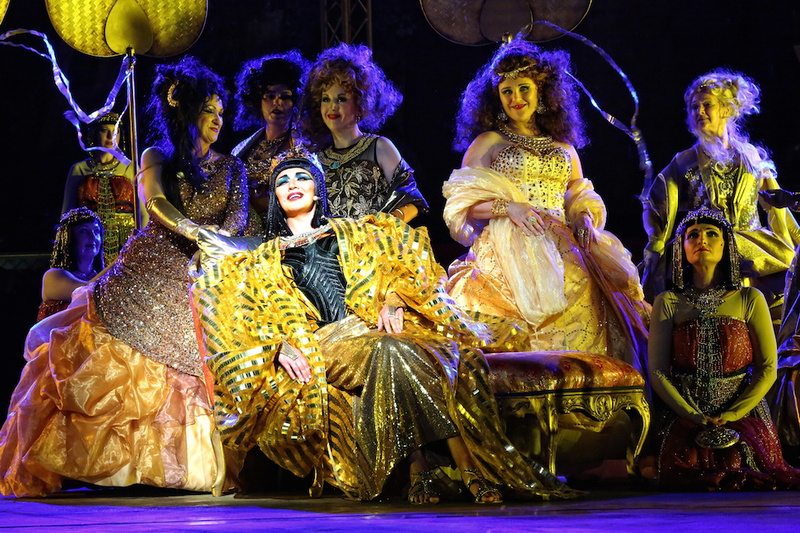 As a fully realised piece of entertainment, Aida is sure to be embraced by all but the most die-hard opera purists, and is set to continue the Handa Opera on Sydney Harbour of introducing newcomers to the magic and majesty of grand opera. Miss it at your peril. Handa Opera on Sydney Harbour Aida plays at Mrs Macquarie’s Point, Sydney until 26 April 2015.